Champion Door’s shipyard and port doors can be built in extremely large sizes, and can withstand very high wind loads. 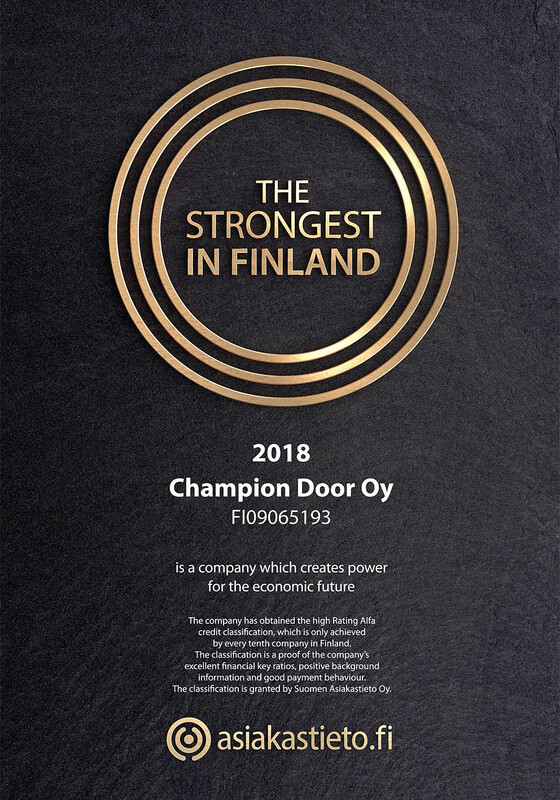 Champion Door’s fabric fold-up doors are the only doors on the market for which additional thermal insulation is available. Tight and resistant to high wind loads, doors are manufactured for all wind classes. There are several fabric options available for the doors, including a fabric with a silicone surface, resistant to hot metal splashes or a durable rubber fabric for sandblasting and similar facilities. Windows and burglary prevention are available as an optional accessory. One-part shipyard and port doors are available in sizes up to 165 x 180 ft. Thanks to the elevating support post system, the door can be made in multiple-door versions, in which case the size is unlimited. The door is manufactured in various thicknesses, with the frame thickness determined by the door size. All shipyard hangar doors made by Champion Door are designed to last: with corrosion-protected metal parts and a structure that is highly resistant to dust, dirt and moisture, they require little maintenance. The durability and little need for maintenance result in low life-cycle costs. The tight doors also reduce energy consumption and increase employee comfort. The benefits of Champion Door’s fabric fold-up doors include their light weight and durability. Unlike other fabric fold-up doors on the market, they do not require oversized support structures, which reduces construction costs.